I hate outlines. 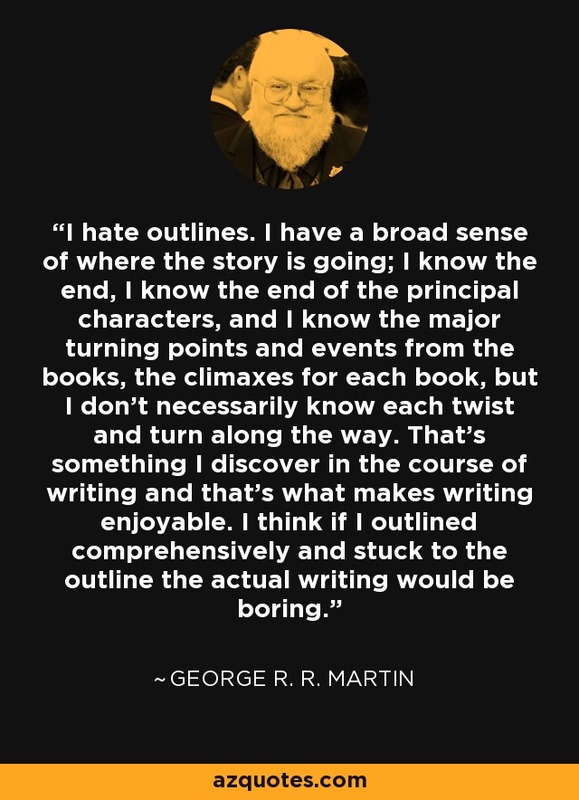 I have a broad sense of where the story is going; I know the end, I know the end of the principal characters, and I know the major turning points and events from the books, the climaxes for each book, but I don't necessarily know each twist and turn along the way. That's something I discover in the course of writing and that's what makes writing enjoyable. I think if I outlined comprehensively and stuck to the outline the actual writing would be boring.